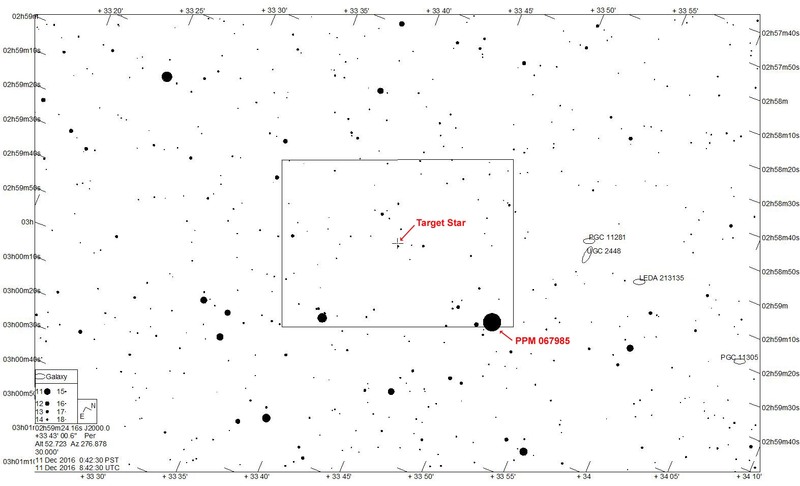 See RECON Event Detail Page for 14UT114 for finder chart provided by Marc Buie. Note that north is up in this automatically generated chart. The green rectangle represents the field of view of a standard RECON system, although the orientation of the rectangle does not match the orientation of the field at the time of the event. Marc will work on upgrading this feature in the future. The finder chart below provided by Jerry Bardecker shows the RECON field of view in the orientation at the time of the event. 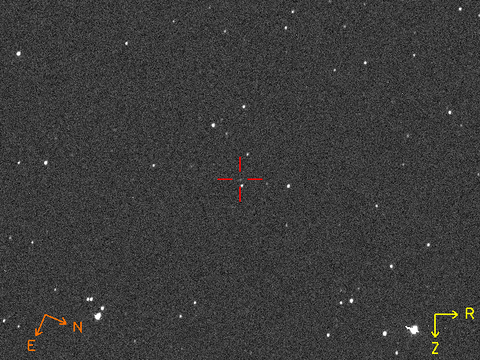 Star field image generated using AAVSO automated telescope.